I hope you all had a very Happy Thanksgiving here in the United States. 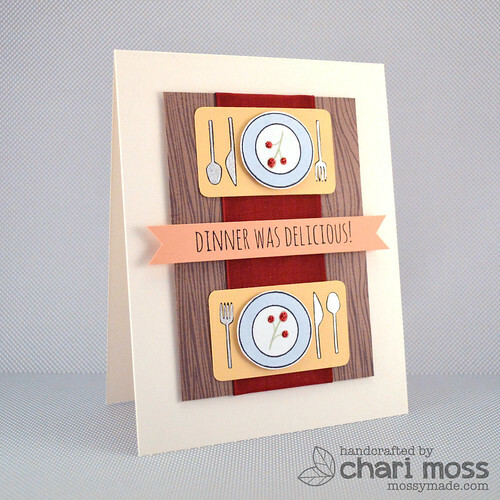 Today I have a post Thanksgiving Day dinner card. I used Essentials by Ellen Autumn Acorns set to create this festive table setting. 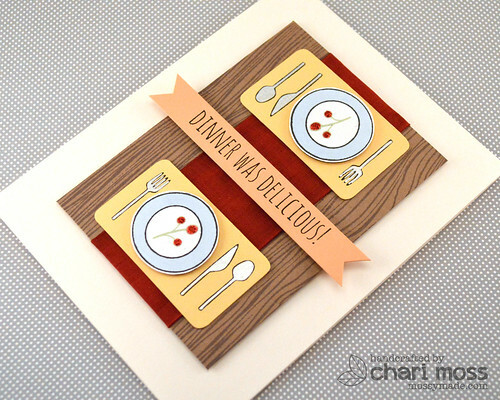 I used a woodgrain background stamp to create the table and added some May Arts ribbon as a table runner. I used a silver gel pen to color the utensils which I think is a cool look.